Do you know a train enthusiast, a railroad engineer who loves their job, or a child who dreams of being a conductor? 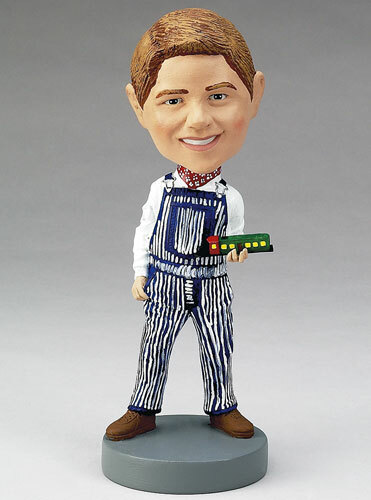 There's a custom bobblehead doll for your locomotive-loving friends! Customize this engineer doll holding a model train to accompany them on train rides and to make a child's dream of conducting a train come true!